The ‘As Seen On TV’ product industry in the United States uses both short form and 28.5 minute formats to advertise products on national television networks. These specialized television campaigns are among the many types of direct response campaigns tracked by DRMetrix. DRMetrix’s approach to monitoring television networks is unique and has produced the most accurate U.S. rankings in the industry. Not all television research is created equal. Historically, ‘As Seen On TV’ industry ranking reports have been fraught with inaccuracies. 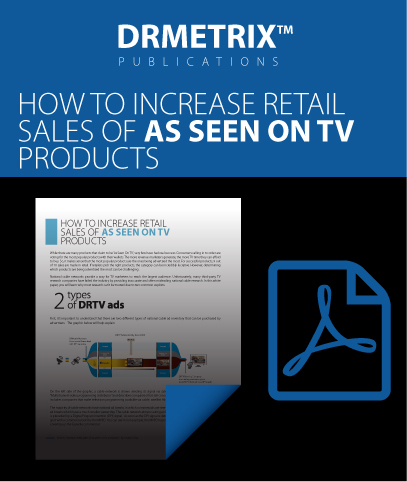 To learn why, please download our free white paper, “How to increase retail sales of ‘As Seen on TV’ products”. As a competitive media research system, AdSphere™ was developed to provide companies in the electronic retailing industry with a window into the U.S. television marketplace. 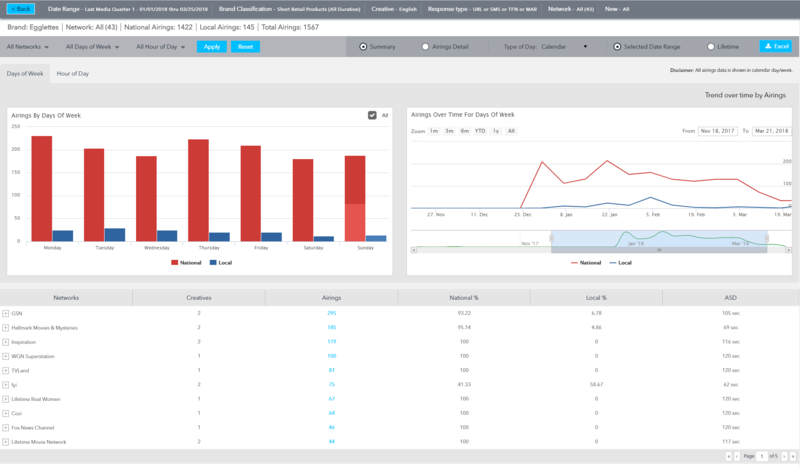 AdSphere™ will show you what’s hot and what’s not tracking campaigns across 165 industry categories and over 120 national networks. A world of insight awaits you as you explore AdSphere™airing frequency timelines to determine whether a TV brand is at the beginning or end of its life cycle. Find any advertiser or brand in seconds and gain access to all current and historical creatives and airings data. 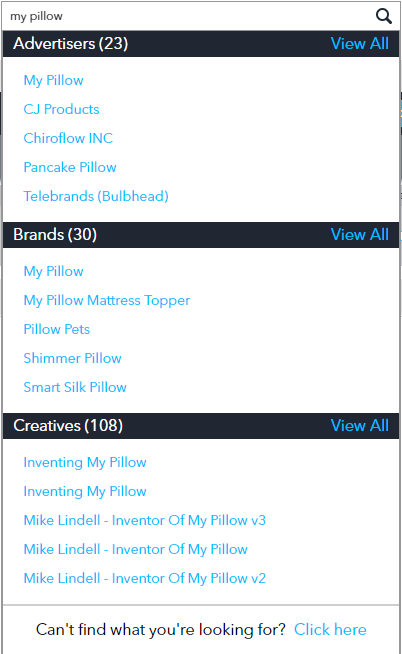 Adsphere™ makes it easy to keep up to date on all the new advertiser and brands being launched on U.S. television across 165 industry categories. Schedule daily or weekly email alerts for any categories, networks, advertisers, or brands you wish to monitor. 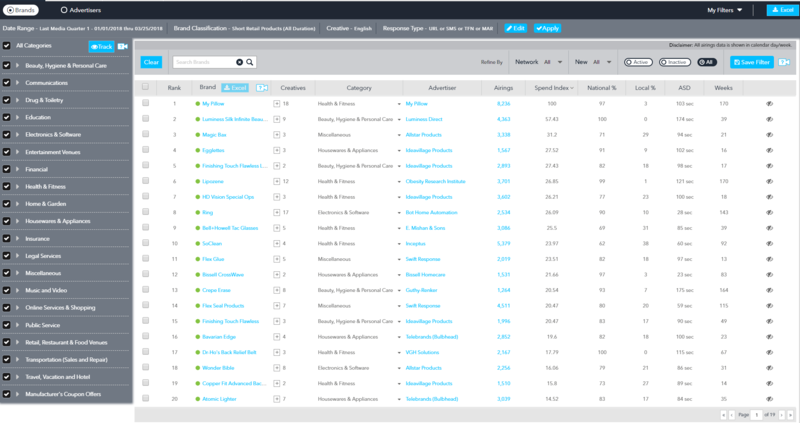 AdSphere™ has built the industry’s largest advertiser contact database for the U.S. complete with phone, email, and social media links. It’s easier than ever before to identify, qualify, and contact product suppliers.